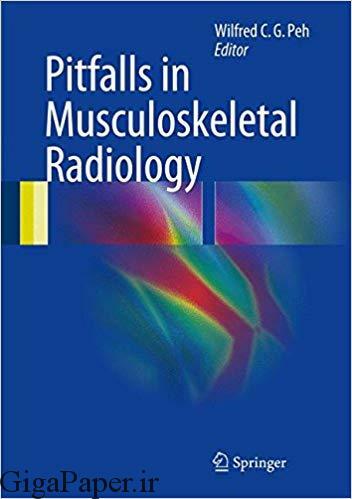 This superbly illustrated book offers comprehensive and systematic coverage of the pitfalls that may arise during musculoskeletal imaging, whether as a consequence of the imaging technique itself or due to anatomical variants or particular aspects of disease. The first section is devoted to technique-specific artifacts encountered when using different imaging modalities and covers the entire range of advanced methods, including high-resolution ultrasonography, computed tomography, magnetic resonance imaging and positron emission tomography. Advice is provided on correct imaging technique. In the second section, pitfalls in imaging interpretation that may occur during the imaging of trauma to various structures and of the diseases affecting these structures are described. Misleading imaging appearances in such pathologies as inflammatory arthritides, infections, metabolic bone lesions, congenital skeletal dysplasis, tumors and tumor-like conditions are highlighted, and normal variants are also identified. Pitfalls in Musculoskeletal Radiology will be an invaluable source of information for the practicing radiologist, facilitating recognition of pitfalls of all types and avoidance of diagnostic errors and misinterpretations, with their medicolegal implications.